Hail season is upon us, and if you own a business you need to be aware of hail hazards and the amount of potential damage it can do to your flat roof. Since, your roof is the closest thing towards the sky and since it is the most exposed part of your building most of the hail damage that you sustain will be here. Hail is a very serious weather event, it is estimated that hail causes 1 billion dollars of damages every year to buildings and crops. It is important to be aware of what is coming and how you can identify damage caused by hail. 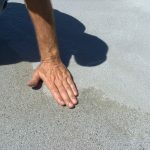 Even minor hail storms can cause tiny cracks in your flat roof. 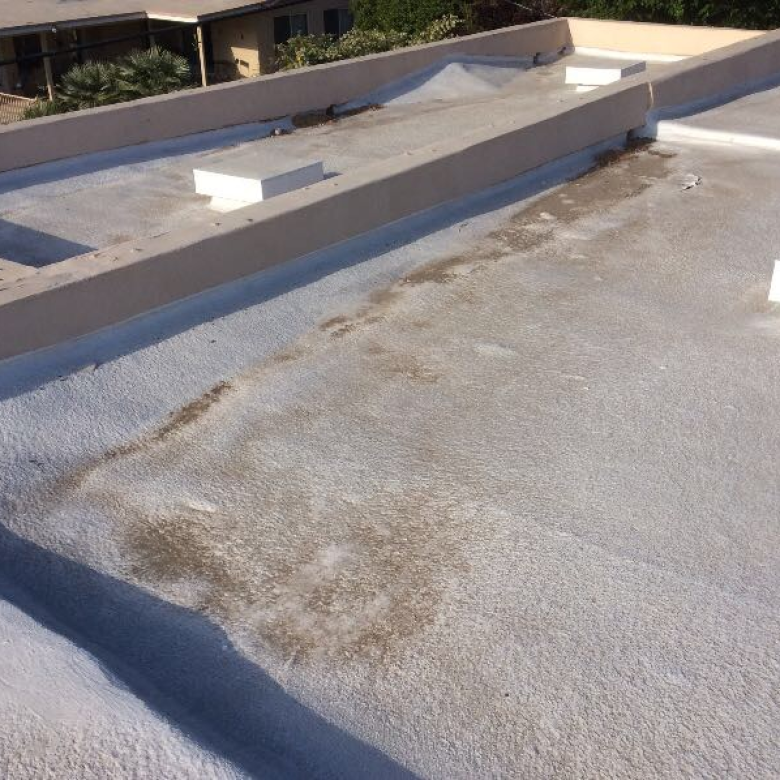 One of the main functions of a roofing system is to remain watertight and even light hail stones can undermine the watertight integrity of a flat roof. A visual inspection post-storm will generally show pretty obvious dents, punctures, or cracks to your roofing system. However, it is not the obvious fractures that are going to cause you the most problems, you can see them so they get taken care of, the less obvious hairline cracks may not cause immediate leakage or give you any problems for months or even years, but damage is being done whether it is immediately visible or not. This means damage to your insulation. If the insulation facer becomes unstuck from the roofing membrane, your roof could lose support which will make your roof more susceptible to further cracks and stresses. 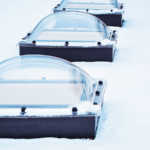 It is vital that you inspect your roof after a hail storm even if you think all of the damage is apparent it may not be. 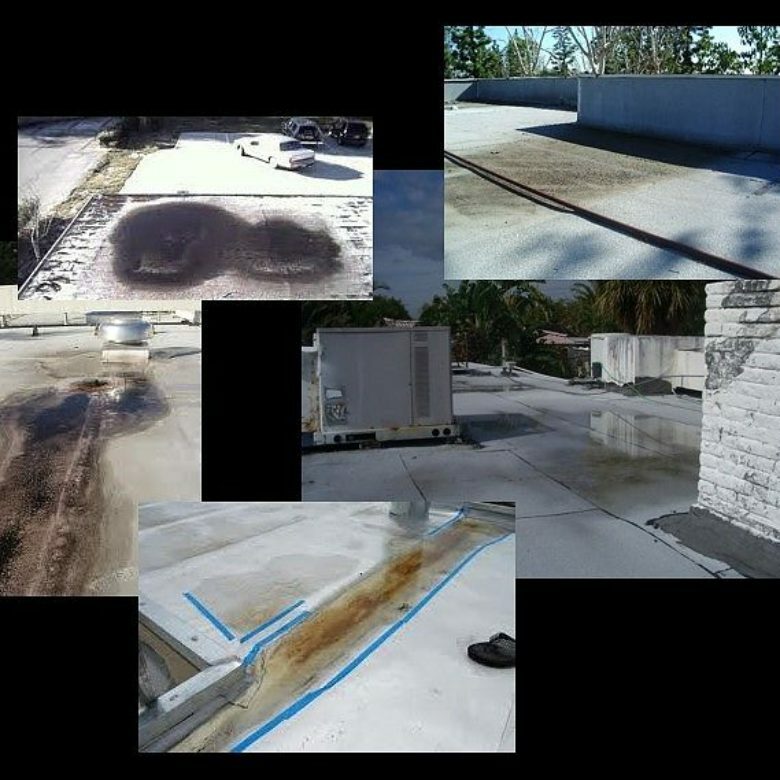 A close inspection will reveal hairline cracks and other minuscule damages that can cause big problems, and you will be able to fix your roof where necessary or start the process of replacing it all together before it becomes more of a problem and your business is damaged by it. This is an issue for commercial buildings with metal roofs. These roofs are strong and will be able to take the impact of hail. However, hail even as small as 1 inch in diameter can hit your roof hard enough to chip the galvanized coating. Repeated exposure to water allows rust to take hold and eventually create a hole in your roof. Before calling your insurance agent, make sure you get a roofing expert to thoroughly examine your roof post-storm. A professional will be able to find all of the trouble areas that may not present themselves to the untrained eye for months or years. Do not settle or accept any money from your insurance provider until you are certain what the extent of the damage is. As we’ve previously discussed most of the damage from a hail storm comes to a head months or years after the initial incident. It is very important that you not only have a professional thoroughly inspect your roof for any damage the storm may have caused, but also your insulation. Your insulation is a big part of your roofing system, and if even the smallest cracks are allowing a tiny bit of water to get into your insulation you could be looking at a very expensive complete roof replacement months or years down the road when fixing the initial problem is generally pretty cheap and painless. While cosmetic damages may seem like a more pressing matter, it is important to remember that most of the serious damage that hail does is not visible from the ground. Be sure to contact a roofing professional if your roof has recently been hailed on it will save you a lot of time and energy in the long run. Please feel free to contact us for more information regarding hail damage to roofing systems or for any of your flat roof needs.